Together with Jennie Nilsson and Billie Pettersson, Charles published a popular article in the weekly journal Ny Teknik on September 8, 2014. 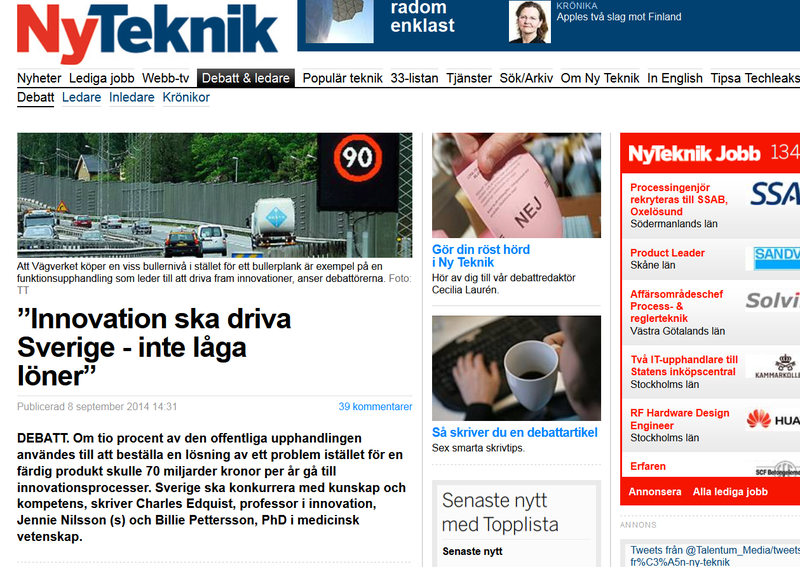 The title was “Innovation ska driva Sverige – inte låga löner” (“Innovation shall drive Sweden – not low wages”). It addresses Swedish innovation policy and in particular how public procurement – which accounts for 20% of GDP – can stimulate innovation. The article can (in Swedish) be found through this link. An English, Google translated version of the page can be read here.